None of us have ever met a live mammoth because it became extinct thousands of years ago. Proof of their existence is the frozen mammoth bodies well preserved all over the Siberian permafrost. They look like elephants only they were furry and a lot bigger reaching 4 meters high with an estimated weight of over 7 tons. Their tusks were also very long and curved. There are those who believe that the mammoth can be brought back to life today. 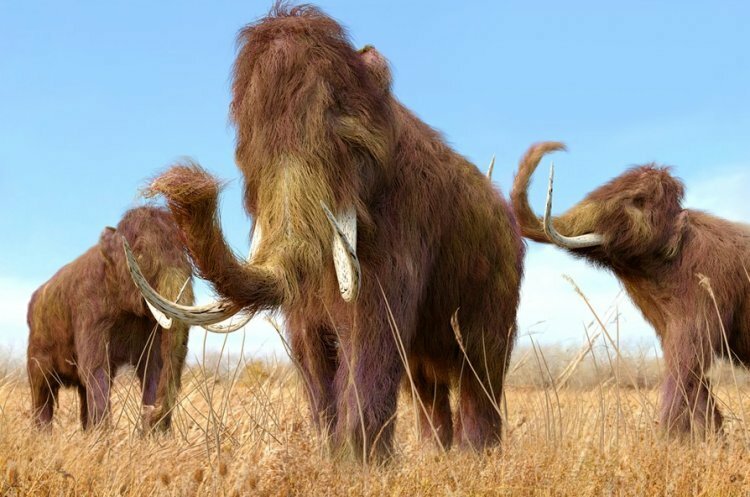 George Church, a researcher from Harvard University announced that his team is only 2 years away from reviving some of the characteristics of the Furry Mammoth one of the 9 species of mammoth that became extinct. Church wants to do this through isolating genes from the mammoths and splicing them together with the genes of the Asian Elephant. “Our goal is to make a hybrid fetus of an elephant and mammoth genetically bred together”, Church explained. There are many critics of the project including animal rights organizations who claim that reviving an extinct species is a gimmick that takes attention away from all the species today currently in danger of extinction. Church counters that his project will help the endangered Asian elephants by giving them the ability to withstand cold and thereby expanding the territory they can use as a habitat to survive in by going into colder areas. Church also believes that the animals born with this gene can live in the Canadian and Russian tundra and help prevent global warming. He claims that “mammoths that come back from extinction will make the world colder by… digging holes in the ice and allowing cold air to get into the ground”. It sounds a bit far-fetched but it still would be amazing to see a mammoth come back from extinction.